You can now add an expiry date to your coupon so you can automatically determine when the coupon will no longer be valid from. You can access your coupons from the Store menu. 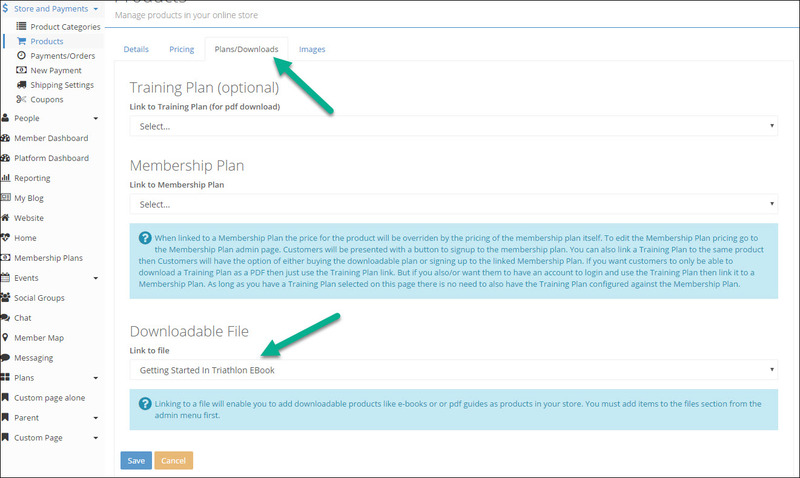 It is now possible to sell downloadable products in your store that are not Training Tilt Training Plans. Simple add a file to your Files list from the admin menu and then create a product in the store and link it to the downloadable file. To ensure only those who purchase the product can download the file set the file as hidden when you create it in your files list. Set the file as hidden so members cannot download it.